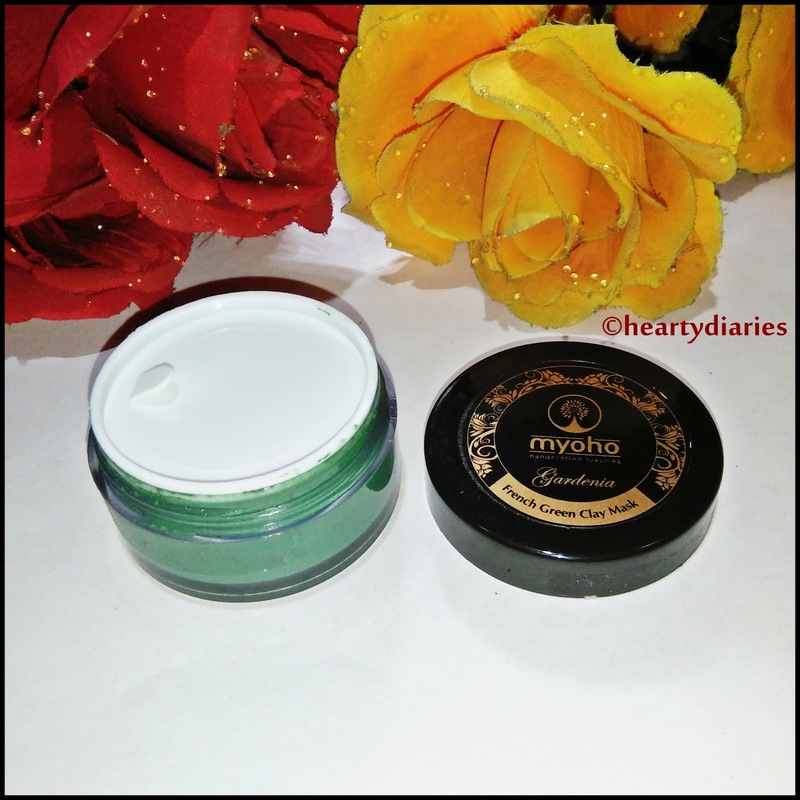 Today I am going to review the French Green Clay Mask by Myoho which I received in my July 2017 My Envy Box. I am a big skincare enthusiast and face masks always intrigue me. If you lay a lot of beauty stuff in front of me, I’ll either pick up a lipstick or a face mask. I love pampering my facial skin, deep cleaning it and making it look fresh and radiant. I had never tried French Green Clay mask ever before, so I was highly interested in it and wanted to try and review it first among all the other products I received. 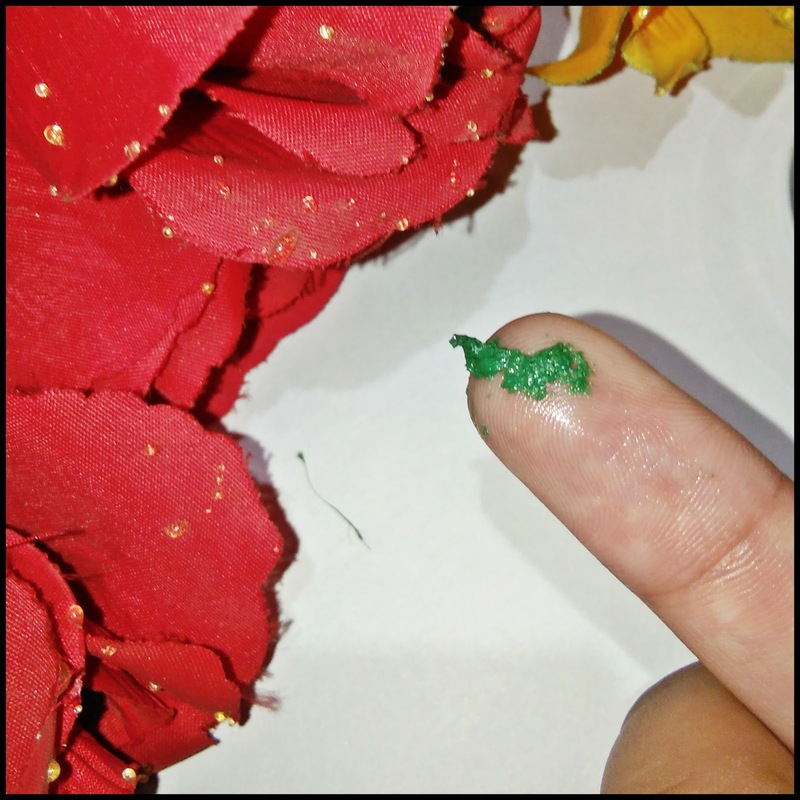 French Green Clay is has been used as a detoxifying beauty treatment in many cultures for years. Molecules in French Green Clay have a charge, specifically a negative charge. Since most of the impurities on your face are positively charged, the clay and the toxins attach to each other. The clay acts like a magnet. When you remove the mask you wash the impurities down the drain as well leaving behind fresher, cleaner skin. It is the best friend of people having oily or sensitive skin as it has the ability to condition and nourish your skin by removing dead skin cells, getting rid of extra oil and impurities from the surface of your skin. Product Description: The perfect detox for the face.The goodness of french green clay in this mask deep cleans your pores,removes toxins and keeps your skin feeling fresh and hydrated.For all skin types. How to Use: Apply thick layer on face and neck avoiding eye area. Keep for 15 minutes. Rinse off. Use within 3 months after opening. Store in a cool, dry place. Packaging: This clay mask comes in a transparent, plastic tub with a black screw cap having golden detailing. It also has a white lid inside to prevent the product from spilling. The packaging looks luxurious and even though I don’t like tub packaging, I am okay with this one because this product needs to be used with a brush. The overall packaging is sturdy, break proof, mess proof and travel friendly. However, I always demand a spatula with tubs! 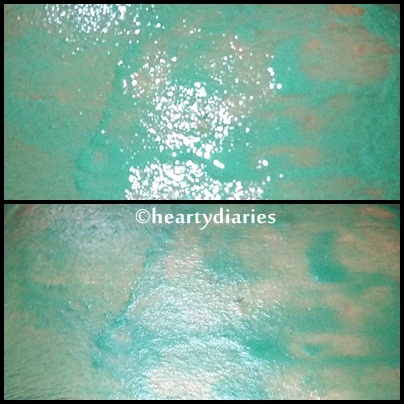 Texture and Consistency: This face mask is green in color, as the name suggests; looks like a waxy substance in the tub and its consistency is thick. My Experience: As this mask claims to be the detox for the face, I wanted to use it at the earliest. When I opened the tub, I had a quite different smell (like acrylic) which I am not a fan of but it is not overpowering and disappears after application. I used a brush to apply a thick and even layer of the product on my face and neck and let it cool for fifteen minutes. The French Green Clay starts working as soon as you apply it on your face. It leaves a cooling sensation behind but also has a stinging sensation, much lower than what you experience while bleaching your face and is bearable. It feels like an assortment of cold and hot on your face but doesn’t feel unbearable or problematic. I have oily, sensitive and acne prone skin but this mask didn’t cause any irritation or reaction on my face which is a plus point for me. I have already finished this product before sharing my review with you all and the quantity lasted me for four uses. Once the required time has passed, this mask gets darker in color, tight and feels like a peel-off mask but it doesn’t come off in a go like it. It turns very oily after getting dried and I guess the sunflower oil present in it starts working on the face after fifteen minutes. This mask doesn’t actually get dry at all and comes off easily after rinsing the face with normal water. It also comes off in pieces like this..
Now coming to the actual result and performance, I am quite happy and satisfied with it. It brightens up my skin “instantly”, removes the dead skin cells, makes it very moisturised which would be an extremely helpful thing with people having dry skin, makes my skin soft, smooth, glowy, radiant and supple. It really works nicely on improving color, brightening skin and removing tan. All the good things start to show up on the face as soon as you use it and the overall result is worth loving and appreciating. It works in a single use without being harsh on the skin and provides important nourishment to the skin. However, I feel it is more on an oily side and may not be liked by everyone with this skin type. Even I have oily skin but I make sure to provide my skin with necessary oils once in a while. Yes. I would love to buy this mask again as it has that wow-factor in it which I want. Yes. I will highly highly recommend it to people who have dry skin but people who have oily skin should also try it once. You’ll not regret it guys. Yes. It works really well for me and is fully worth the price paid. Final Verdict: Overall, I really liked this product and would love to use this luxurious mask before doing my makeup on an important occasion.